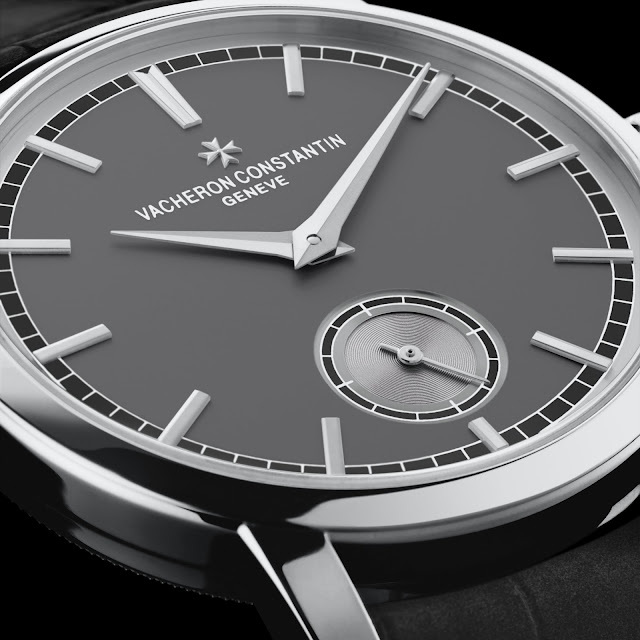 Patrimony Traditionelle is a particularly compelling range from Vacheron Constantin which pays tribute to the Manufacture during the period from the 1930s to the 1950s. The Patrimony Traditionelle Small Seconds displays typically VC pure lines and harmonious proportions. With a slender bezel, a fluted screw-down caseback with an inset sapphire crystal, 18-carat white gold applied hour-markers, dauphine hands and a dial in several shades, this new timepiece meets the requirements of the Poinçon de Genève or Hallmark of Geneva. Validation for this certification which is no longer confined to the movement alone, but must also take account of the finished watch. The 950 platinum case frames a slate grey dial. The 18-carat white gold hour-markers, punctuated by a painted white minute circle against a black background, create a look of elegant simplicity, also reflected in the elegantly traditional sweep of the hands. 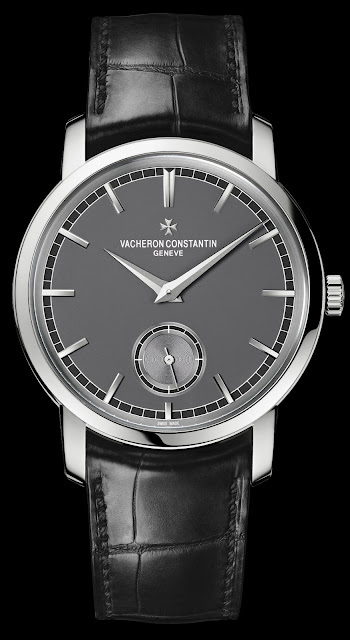 The watch is powered by the hand-wound Vacheron Constantin 4400 movement which beats at a rate of 4 Hz (28,800 vibrations/hour) and displays the hours, minutes and small seconds at 6 o’clock. The movement has a 65-hour power reserve. 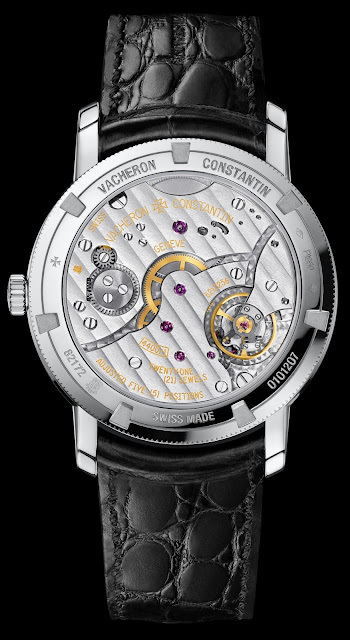 Points of perfection to note include the main flat surfaces of the movement which are adorned with a meticulous “Côtes de Genève” motif, their angles are also bevelled and hand-polished, as are the screw heads. While a slender 38mm slender profile, the exhibition caseback is fitted with a sapphire crystal in order to admire the 4400 movement. Adding the finishing touch to this model, Vacheron Constantin has fitted its new Patrimony Traditionnelle small seconds with a black Mississipiensis alligator leather strap fastened by a 950 platinum pin buckle.